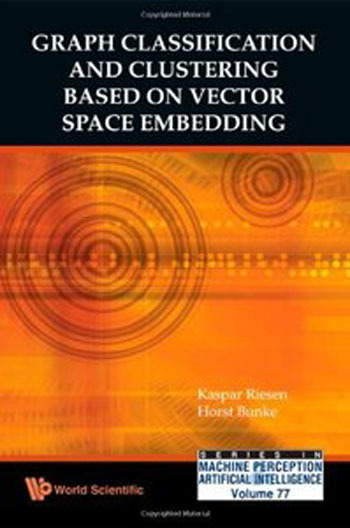 Kaspar Riesen, Horst Bunke, "Graph Classification and Clustering Based on Vector Space Embedding"
This book is concerned with a fundamentally novel approach to graph-based pattern recognition based on vector space embedding of graphs. It aims at condensing the high representational power of graphs into a computationally efficient and mathematically convenient feature vector. This volume utilizes the dissimilarity space representation originally proposed by Duin and Pekalska to embed graphs in real vector spaces. Such an embedding gives one access to all algorithms developed in the past for feature vectors, which has been the predominant representation formalism in pattern recognition and related areas for a long time. Graph Classification and Clustering Based on Vector Space Embedding Fast Download via Rapidshare Hotfile Fileserve Filesonic Megaupload, Graph Classification and Clustering Based on Vector Space Embedding Torrents and Emule Download or anything related.